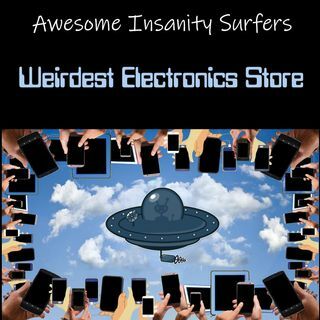 Weirdest Electronics Store (Air Date February 19, 2019) We all know Nowheresville is not your typical town, but what if you go 50 miles beyond that? Donna Scallion and Zartran visit an unusual electronics store and even record the customers and employees. Check out the weirdest electronics store with Donna and Zartran! That was an interesting story I’m glad you shared it. I was not aware that Zartran Had four eyes and three fingers on each hand. Always fun to learn a little bit about him every time you tell a story.